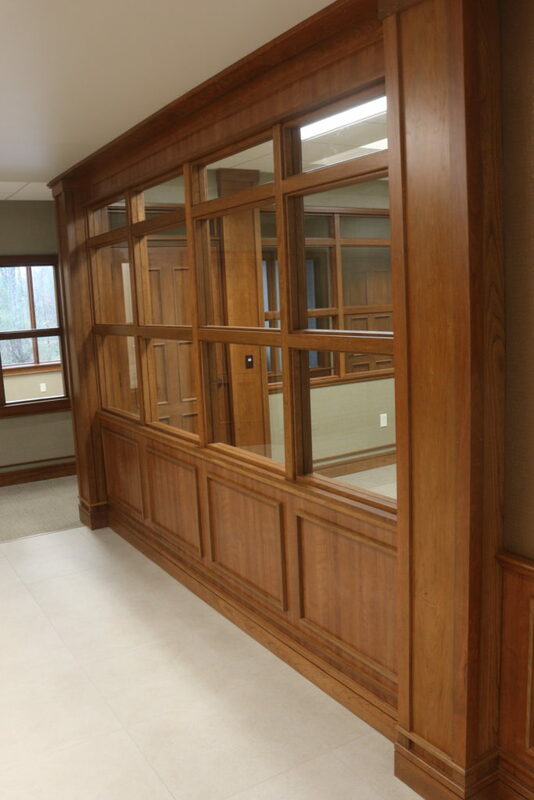 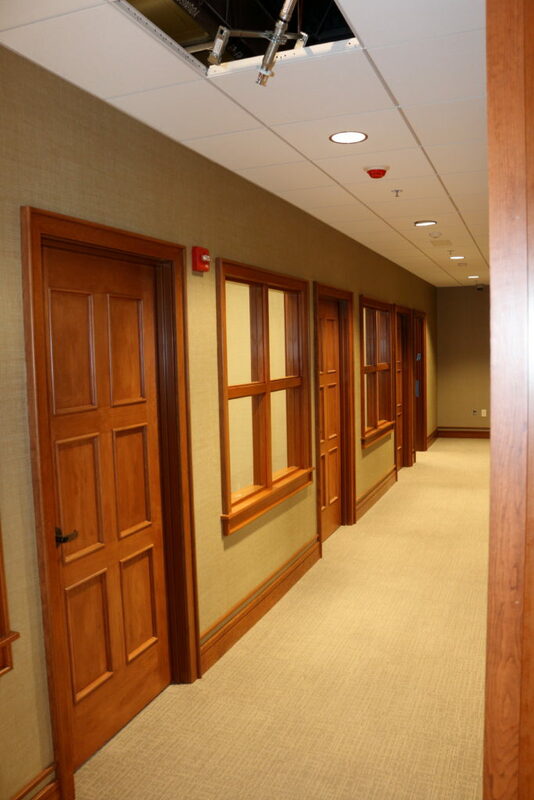 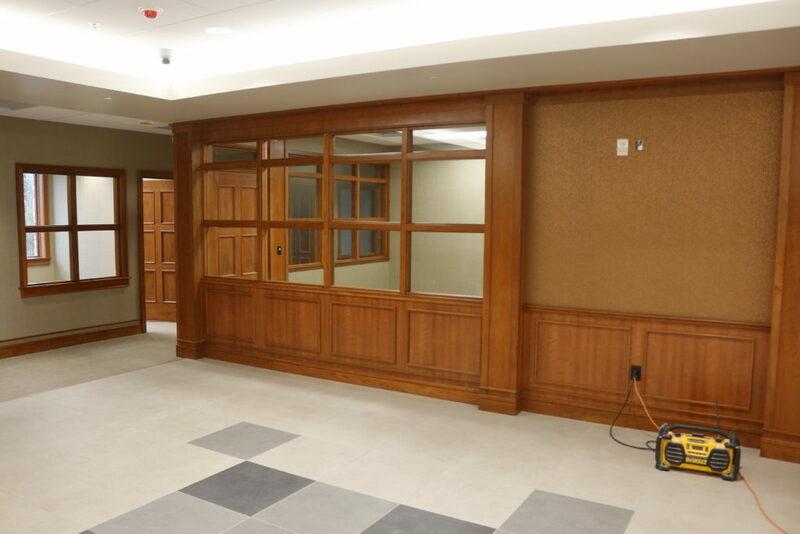 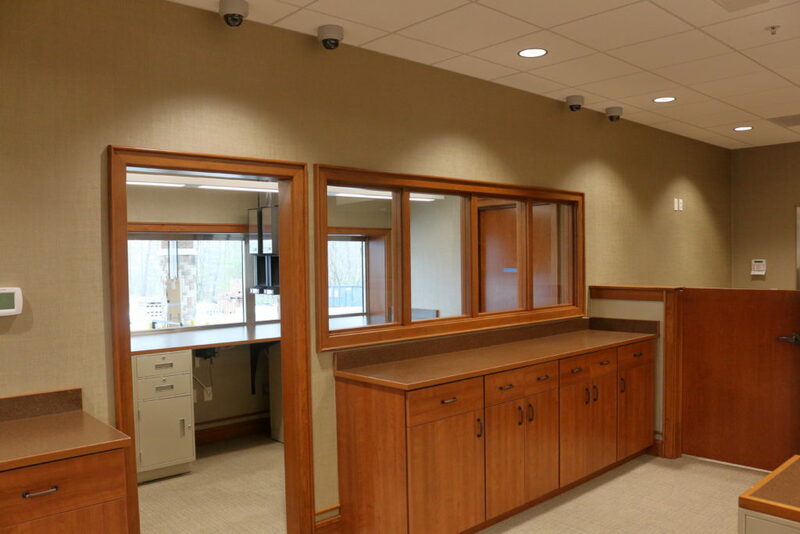 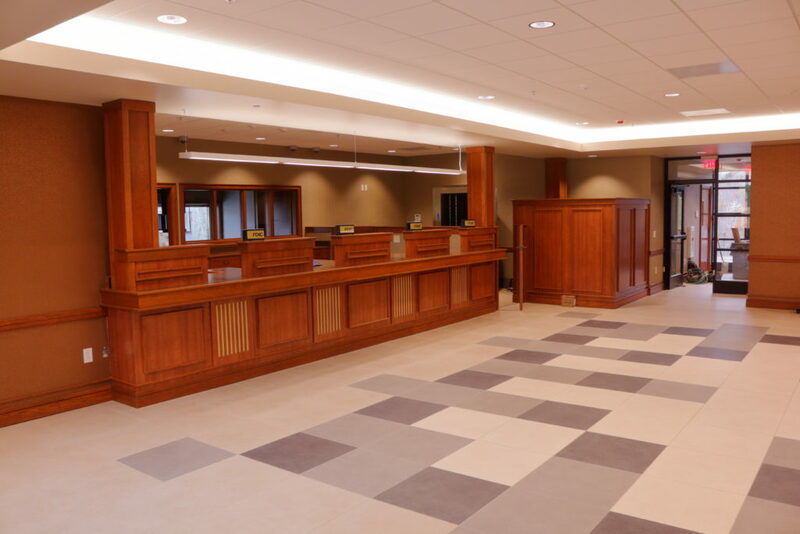 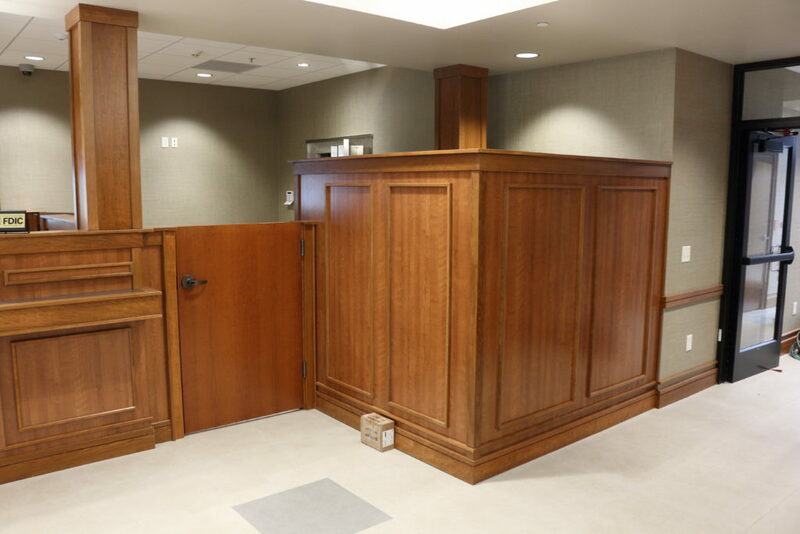 New Construction - Two Story Commercial Bank Interior - Solid West Virginia Cherry Throughout. 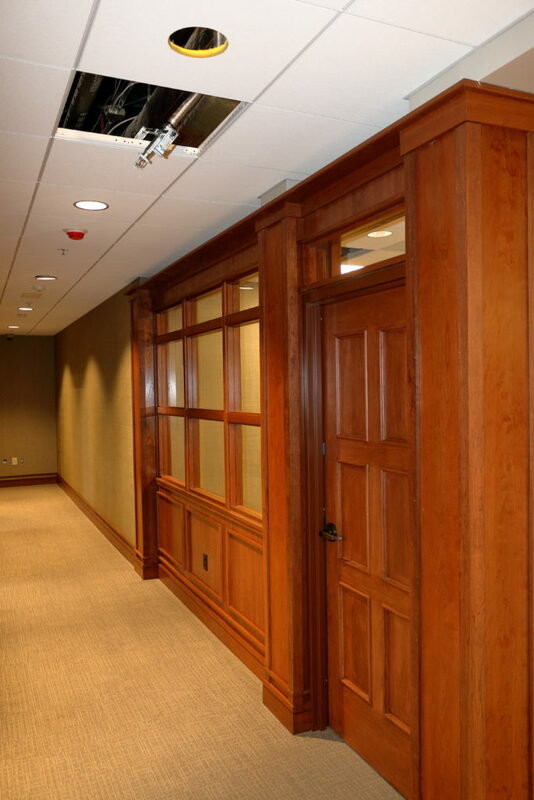 We supplied all solid wood pre-finished and all sub assemblies which could be shop-built were shipped complete for installation. 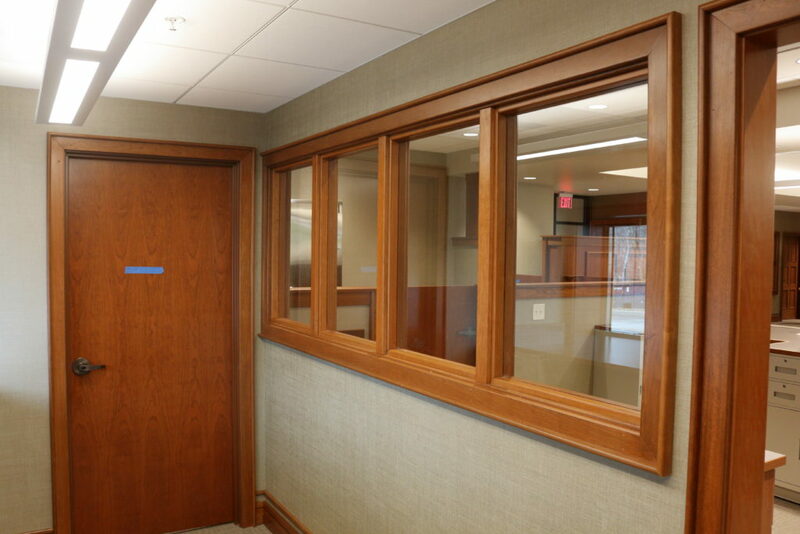 All interior windows shipped prefabricated complete with glass installed, pre-finished, and pre-cased one side with loose trim for second side installation in the field. 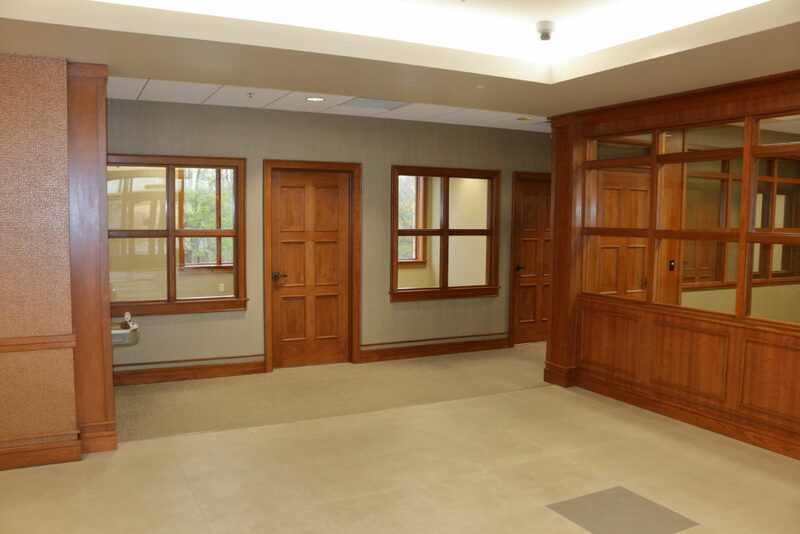 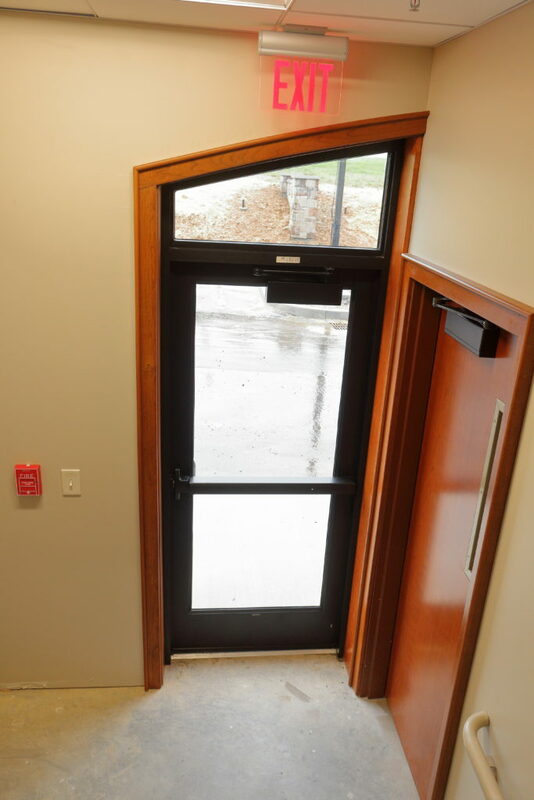 All exterior and interior door and window trims were prefabricated and finished in-house and shipped with window sills haunched and returns installed and finished on horns for speedy field installation.